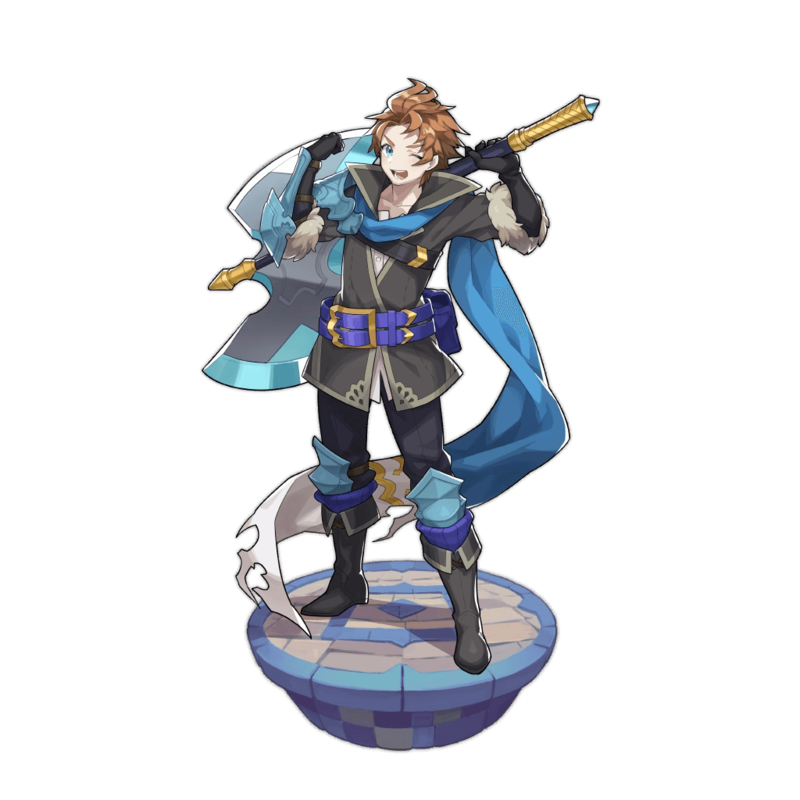 Pietro’s kit is, like those of many 3★ Adventurers, unclear in its purpose. Indomitable Will fits the shielding role, but its magnitude fails to compete with shields from Cibella or Hildegarde. His critical damage Ability is also misplaced on a slow weapon type. Critical damage without Critical Rate is unlikely to provide any benefit; the base chance of Criticals remains low on an Adventurer without the corresponding passives. An adventurer in search of a fabled frozen city. As this city is thought to only exist in faerie tales, he is often the subject of mockery. Some, however, find inspiration in his perseverance. 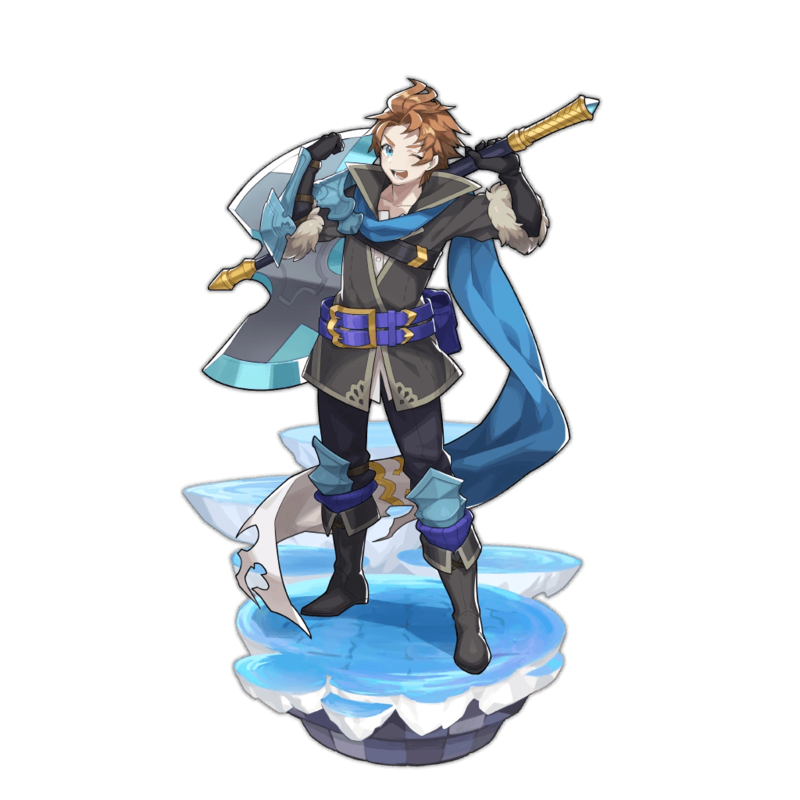 Pietro is a 3★ Water Axe user who’s best described as mismatched. Like many 3★ adventurers, Pietro holds only 75% status resistance, a flaw compounded by the fact that no current Flame enemies even inflict Blindness. 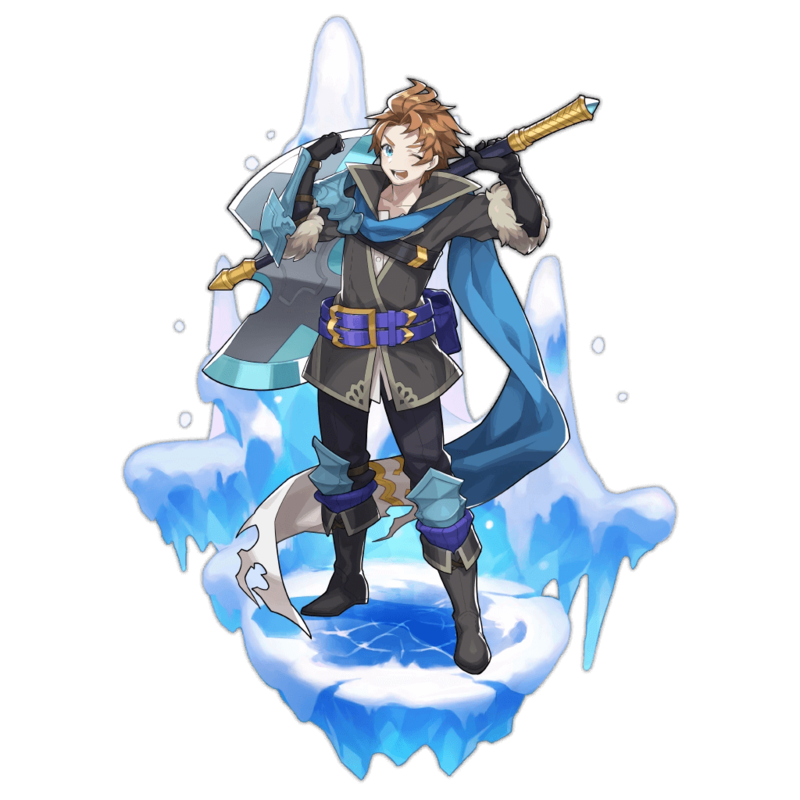 Although +13% Critical Damage is massive, it is rarely felt due to the slow swings of Axe wielders who lack the means to utilize crit buffs. While attempting to provide both damage and support, Pietro succeeds at neither, and has next to no redeeming qualities. Axes excel at taking out clumped enemies, which is made easier by Quester’s Best drawing foes in closer. Pietro's dedicated shield Skill Indomitable Will is low in magnitude, matching Edward's 15-20% Shield Skill. Fellow 3★ Cibella outclasses this with the 15-30% damage mitigation of Virtuous Guard, while Hildegarde's shield comes with additional regen. None of the current Flame content involves Blindness, and as a 3★ Pietro doesn't gain full immunity. Critical Damage, though complimentary to the burst style of Axe wielders, is also not seen due to the lack of any sort of a crit-based kit. Leviathan is ideal for maximizing damage output. Vodyanoy still allows Pietro to hit hard with the Strength boosting passive. Poseidon's split boost suits any Water Adventurer, including a tough Axe user. Mercury or Fubuki are decent budget options. Budget Options: among 4★ Tier 2 options, The Tyrant offers an additional attack and higher Strength bonus. Deals water damage to surrounding enemies and draws them toward the user. Grants all teammates a one-use shield that nullifies damage less than 15% of their maximum HP. This does not stack with any other shields. Grants all teammates a one-use shield that nullifies damage less than 20% of their maximum HP. This does not stack with any other shields. Adds 10% to the modifier applied to critical damage.